The creative project is a call to action for people to start caring about the planet now. How do you tell the world that global warming is real? For Louis XIII, it was through music. So it has collaborated with American music producer and artist Pharrell Williams to compose 100 Years - The Song We’ll Only Hear If We Care, which tackles these environmental issues. 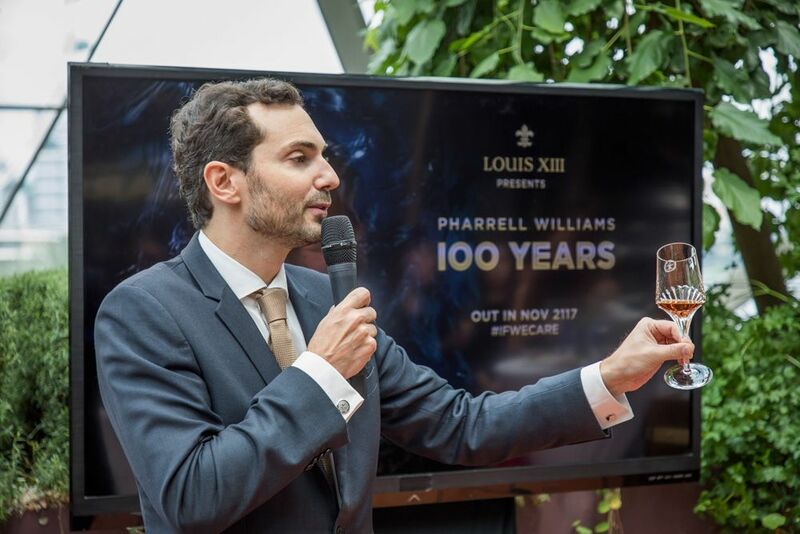 “Global warming is one of the most prominent issues of the 21st century; with 100 Years - The Song We’ll Only Hear If We Care, we hope to inspire people around the world to take action,” shares Ludovic du Plessi, global executive director of Louis XIII. The song debuted in November 2017 at a private party in Shanghai, and only 100 people got the privilege of hearing the song once. They were not allowed to record any part of it. What about the rest of us? Sadly, we’ll have to wait 100 years—and there’s a catch. The only copy of the song was engraved onto a unique clay vinyl made with the chalky soil from the vineyard in Cognac. At the event, du Plessis and Pharrell sealed it in a state-of-the-art safe programmed to unlock in November 2117; it will only be destroyed along with the vinyl when it’s submerged in water. Scientists have projected that if the sea levels continue to rise at a rapid rate due to climate change, much of Mother Earth will be under water in 100 years. And if we don’t change our way of living now, future generations will not be able to hear this song. In the words of Pharrell, “It’s a call to action for people to care about the planet now,” adding that if we’re able to play this song after a century, it means we did something right. This isn’t the first time Louis XIII embarked on such project. In 2015, it partnered with actor John Malkovich to create 100 Years: The Movie You Will Never See. It will debut in 2115.